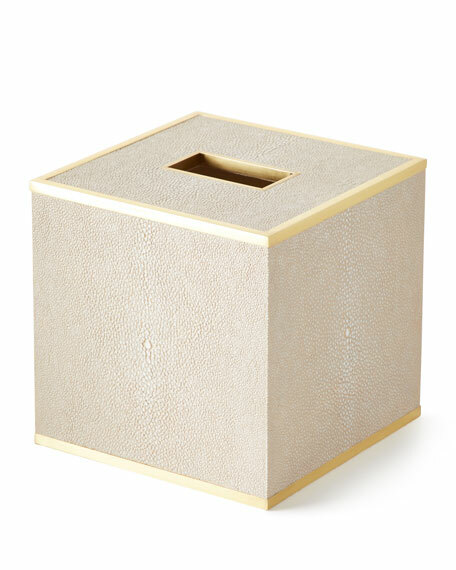 Create a clean look and organize a vanity or bathroom with the Classic Shagreen Tissue Box Cover. The shagreen cover has an elegant look, edged with brass, with a suede lining. 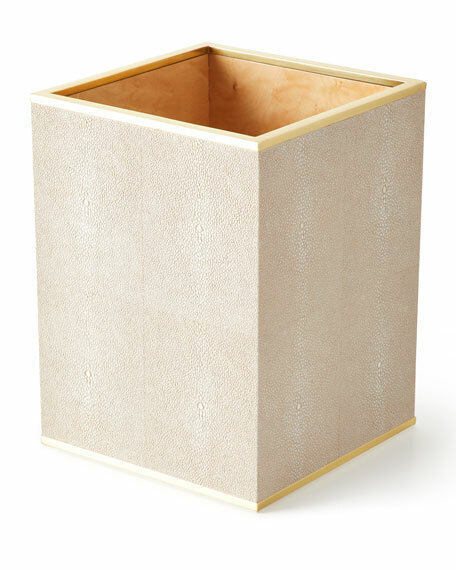 Create a clean look and organize a vanity or bathroom with this Classic Shagreen Waste Basket. The shagreen basket has an elegant look, edged with brass, with a suede lining. Overall, 7.5"W x 7.5"D x 10"T.